Jodie Foster is featured in this week’s cover story in Parade. She never married but has two sons: Charles Bernard Foster, 9, and Kit Bernard Foster, 6. 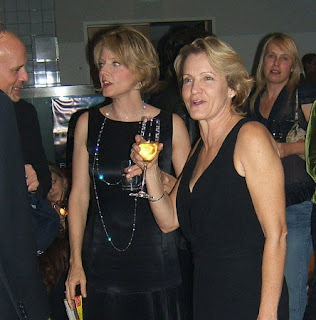 What’s strange is that Jodie made paid tribute to longtime companion film producer Cydney Bernard during an acceptance speech in December 2007 at a breakfast for Hollywood Reporter’s Women in Entertainment. Does that not count as love? Last edited by ingi; March 13th, 2008 at 11:56 AM. You can't hate on Jodie. It's just not possible. So where did she say she is not in love? Hm. I'd possibly disagree with that if she did infact say she'd never been in love. Nice thing to announce when you've had a partner for years. The way I see it, it's pretty simple. She doesn't want to talk about her personal life. How else was she supposed to respond to a question like that? "I don’t think there is any good thing about fame." I hate when celebs. say this. I mean seriously, it makes no sense and it makes them sound stupid. ^ That's how I took it too. ^^I agree. She didn't come right out and say I'm not in love. I think it was a dumb subject to bring upwith her anyway. She says she's never been in love? Imagine how horrible Cyndey feels after hearing that. She didn't actually say it. Perhaps she wanted to not answer any love question and notice the word love never is mentioned at all. OMG Jodie Foster is gay! By twitchy in forum Who's Gay?